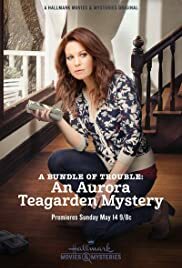 During the renovation of an old house, Shannon (Jewel) makes a shocking discovery, which leads her on an investigation that changes everything. Loved the books and now love the show. While it differs from A Fool and His Honey, the mysteries are fun, simple, and sweet. Hallmark knows exactly what we like and this is another great addition into Aurora catalogue. Candace is as warm and loveable as she was on full house and I can't wait to see what they come up with for the next one. Keep them coming.